The Founding Members of Troop 727 at their first meeting on December 20, 2018. 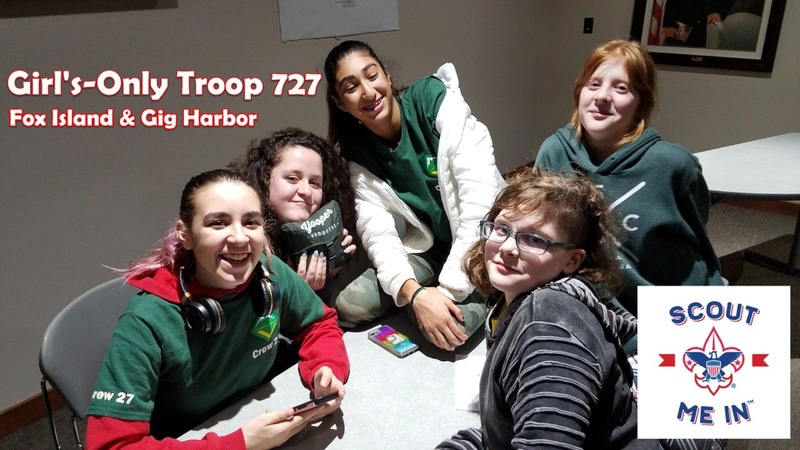 Troop 727 is currently recruiting girls from Gig Harbor and Fox Island, ages 11 to 17 years old, to join the newest member of the '27 Family' of Scouting on Fox Island. 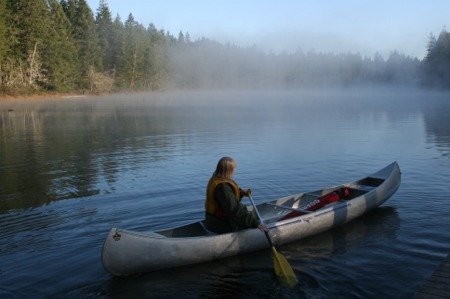 Meetings will be held at the Nichols Community Center, 690 9th Ave, Fox Island, WA 98333. Contact us today for the next meeting date. Troop 727 is in the news! Find out more about how to join, contact us today! Troop 727 meets at 6:30 PM on the first & third Sunday of the month. New members are always welcome, come and meet other members of Troop 727, and find out more about the Scouts BSA program for girls ages 11 to 17. When is the next meeting? 1st Day to earn a Merit Badge! 1st Day to start your Trail to Eagle! Be part of Scouting history! Meet new friends from across the Council and jump-in the Adventure of Scouting! 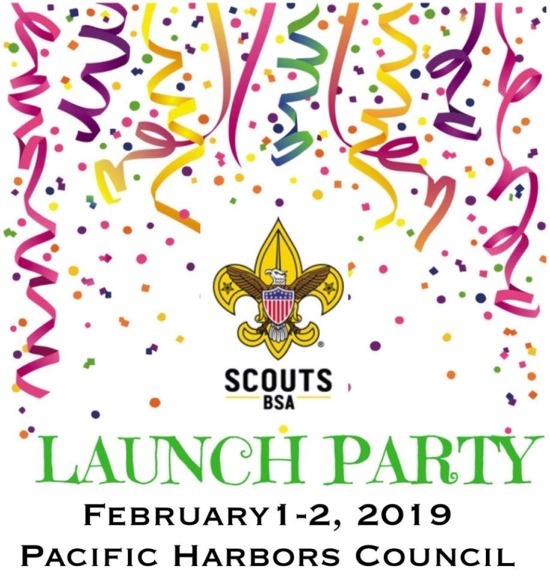 This event is for girls joining a Scouts BSA Troop. Games & Ice Breakers – meet new friends as you join in Human Hungry, Hungry, Hippo, Knots, & much more! Activity Stations include Gear Demos, Leave No Trace, Merit Badge Samplers, First Aid, Escape Room, & much more!! Be a part of history, don't miss it! Don't Be Left Behind - Girls Can Join the BSA Now! The BSA is not just for boys anymore! Find out more about how to join Troop 727, contact us today! Sign up with Crew 27 today!